Editor’s Note: Today’s post is the first in a new series we’re launching where we highlight research conducted by select partners and provide our perspective on some of the most interesting findings and results. Back in 2012, Axit (a Siemens company and a Talking Logistics sponsor) together with the Institute for Cloud Computing (IFCC) surveyed over 130 supply chain and logistics professionals across various industries in Europe to determine the state of cloud computing in logistics and how it might evolve in the years ahead. 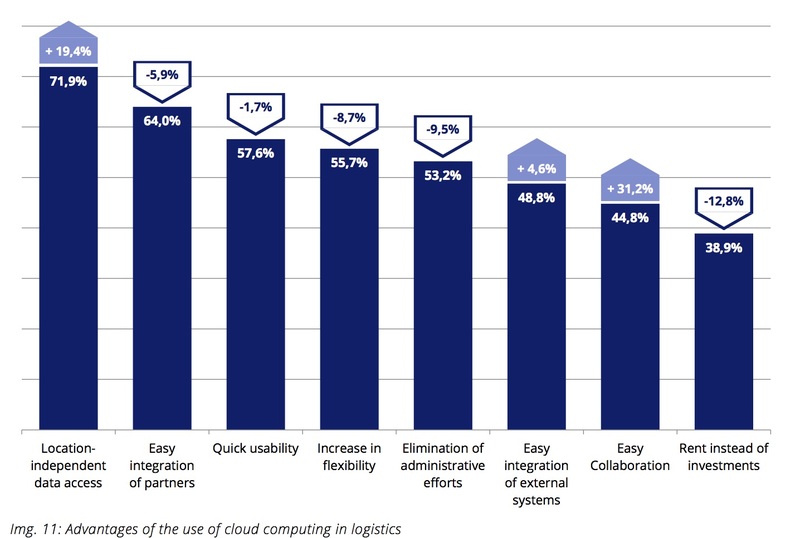 Four years later, in February and March of this year, Axit and IFCC repeated the study, this time with 218 respondents across 15 countries, and it’s interesting to see how the state of cloud computing in logistics has changed in a relatively short time period. Having access to data from anywhere, anytime still tops the list of advantages, and its importance increased over 19 percent in this year’s study compared to 2012. 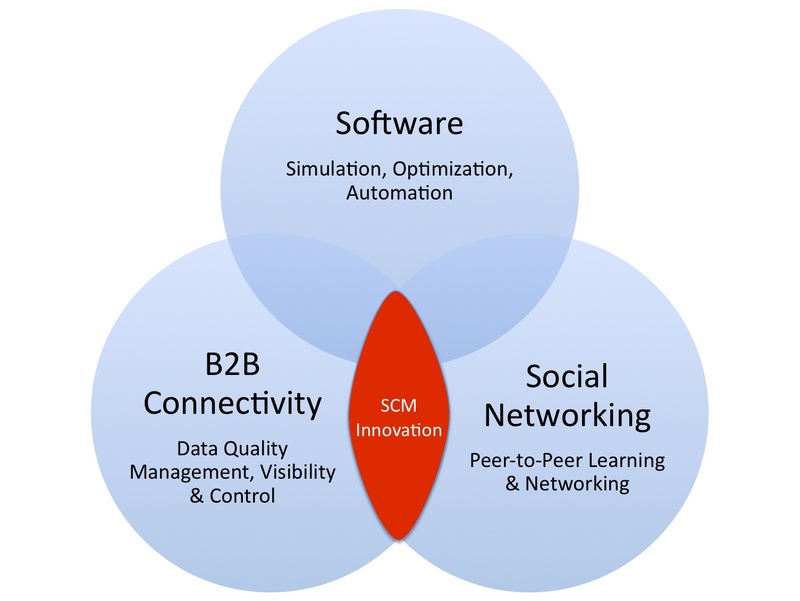 This finding underscores the growing value supply chain and logistics executives are placing on business intelligence and analytics — that is, on having the ability to make smarter decisions faster, which is aided by having supply chain and logistics data and information from many trading partners flowing through a single, cloud-based platform. However, in my opinion, the biggest (and most pleasant) surprise was the large increase in the percentage of executives who now view “easy cross-company collaboration” as a benefit of cloud solutions — up 31.2 percent from 2012! Why is this exciting to me? I believe that as more executives recognize the role and importance of cloud-based platforms (or as I call them, Supply Chain Operating Networks) in facilitating communication and collaboration between companies and people, we’ll see Supply Chain Operating Networks more quickly evolve into the business equivalent of Facebook and LinkedIn, enabling communities of trading partners to communicate, collaborate, and execute business processes in more efficient, scalable, and innovative ways. We’ll also see the emergence and rise of the Chief Network Effects Officer. For additional insights from the research study, download the complimentary report from Axit’s website.